In today’s world of hyper-vigilant airport security, crowded TSA checkpoints and long waits have become the norm and not the exception. Gone are the days of passengers arriving an hour before their flights and then having their loved ones see them off at the gate. In today’s aviation world, airports must manage crowds to allow only ticketed passengers to pass through security and board their planes in a timely manner. 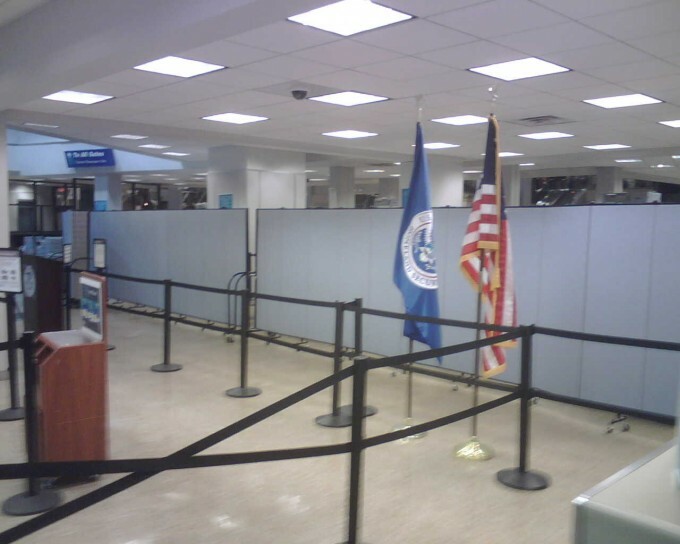 The same is true for arriving passengers heading to either U.S. Customs and Border Protection (CBP), connecting flights or baggage claim areas. Managing these large crowds is also vital for security reasons, and one of the most efficient ways to manage passenger flow and contain large crowds is by erecting portable temporary walls. 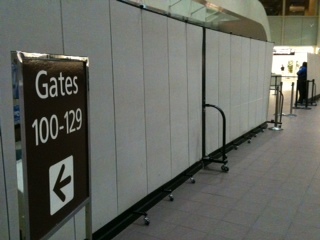 Portable dividing walls are quickly wheeled into place to usher passengers from the gate to a special holding area. 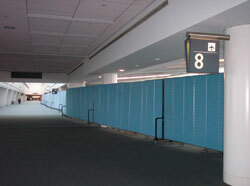 Screenflex Portable walls can be locked together to form longer lengths. The use of temporary walls for managing passenger flow is a cost-effective way of moving crowds and maintaining order in security areas. Screenflex Portable Walls are ideal for these situations because units can be quickly rolled from one area to another, maneuvered into place, and unfolded, and all by only one staff member. 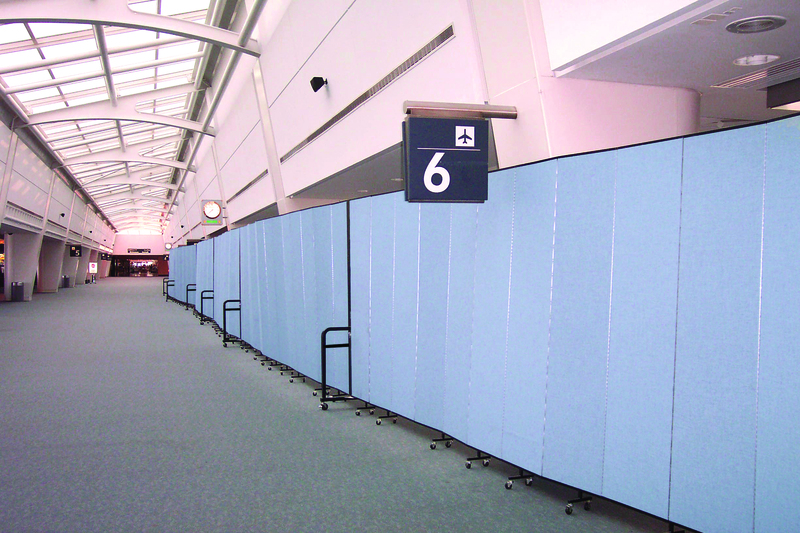 Screenflex portable walls come in 36 lengths and heights and 38 woven fabric or vinyl combinations. 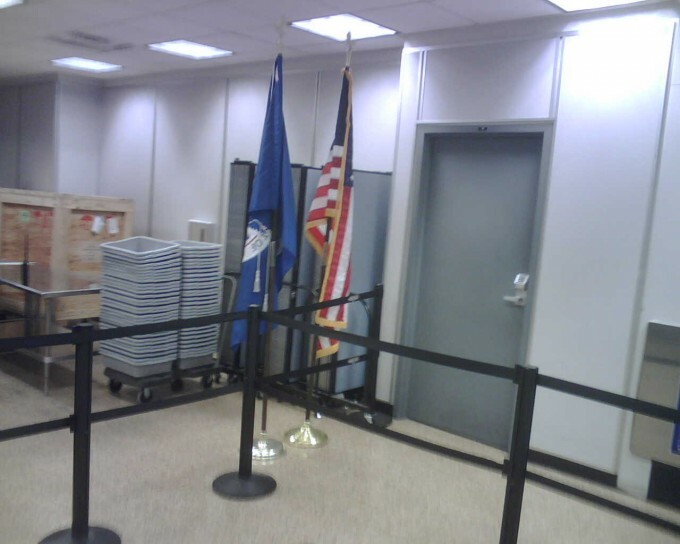 In addition, Screenflex manufactures an acrylic Clear View, portable temporary wall for use in airports and other public facilities, when there is a need to partition an area, but still maintain clear sight lines. 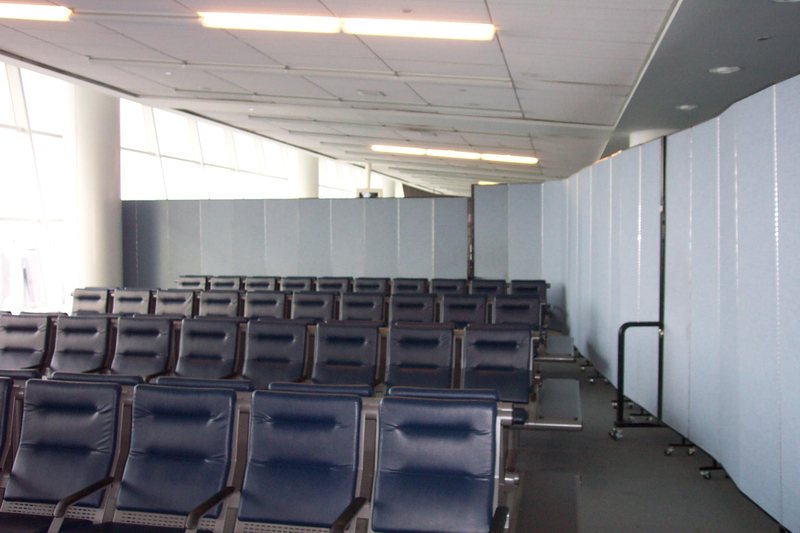 Screenflex Portable Walls setup instantly when added privacy is needed or when you need to maintain order in terminals or screening areas. When not in use, they store compactly in a 2′ X 3′ space. 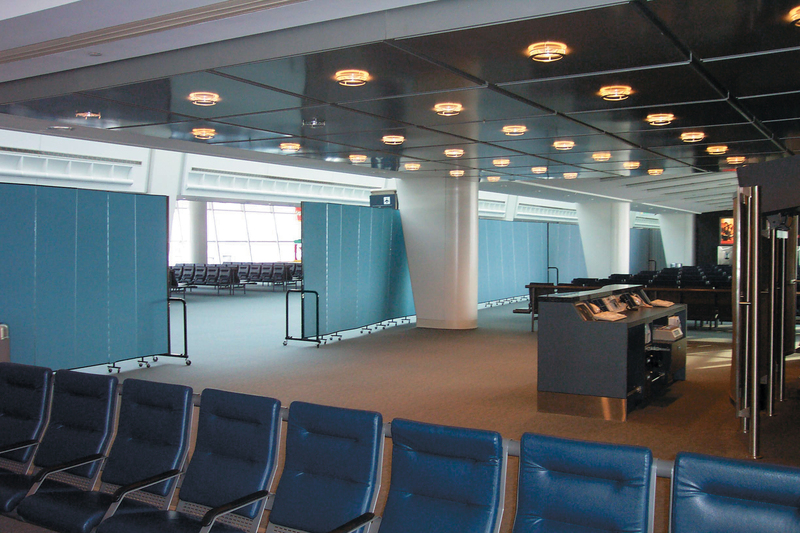 Having the ability to quickly erect a temporary wall makes it easier to keep passengers from wandering into an out of service or maintenance areas or as an efficient way of guiding large groups to or from one area of the terminal to another. 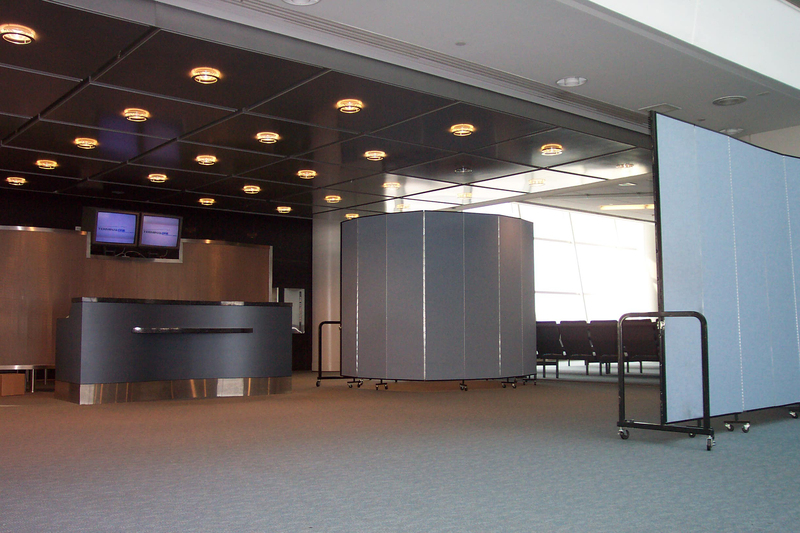 Portable room dividers work to meet the needs of an ever-changing Aviation environment. Screenflex is a GSA certified supplier, ready to meet your needs. Phone us today at 800-553-0110.